This evidence based intervention is designed for young adults who drink alcohol heavily and have experienced or are at risk for alcohol-related problems. 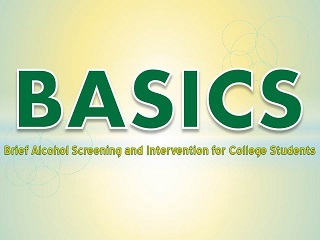 BASICS is delivered in an empathetic, non-confrontational, and non-judgmental manner and is aimed at revealing the discrepancy between the young adult’s risky drinking behavior and his or her goals and values. The intervention is delivered by a trained prevention specialist during two 50 minute sessions.